University of Phoenix is pleased to collaborate with the Military Police Regimental Association to offer a scholarship program. MPRA was founded in 1990. Together, with its members, it works to provide a variety of services and assistance to Military Police Soldiers and their families around the world. 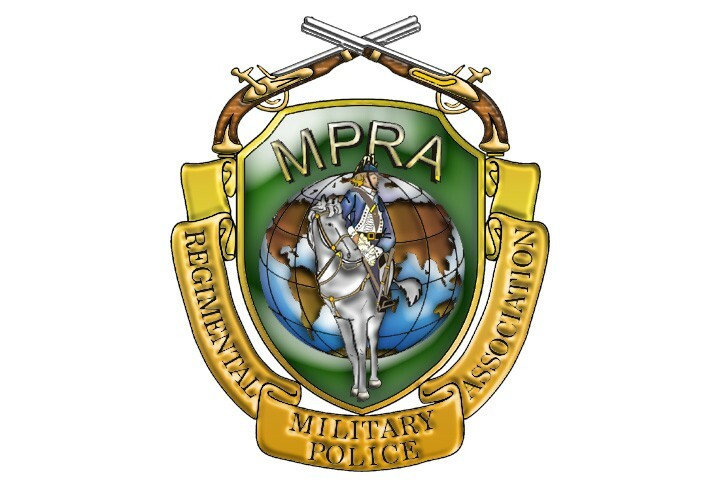 Through its efforts and programs, MPRA communicates the pride, heritage and history of the MP Corps and to promote the Corps’ future for members, family, and friends of the Regiment. Through this scholarship program one (1) full-tuition scholarships will be offered. The scholarship will allow a prospective student the opportunity to complete an undergraduate or master’s degree program at University of Phoenix. Recipients may choose to attend a University of Phoenix campus or online. Applicants must be a standard MPRA member or an immediate family member of an active MPRA standard member. Associate and Corporate members are not eligible. (Verification of current membership status is required.) The immediate family members of a deceased member (active at time of death) are also eligible. Immediate family is defined as a parent, sibling, and child* (by blood, adoption, or marriage), spouse, legal domestic partner, grandparent, or grandchild. *Must have graduated high school or received their GED prior to the scholarship award date. This scholarship opportunity is in academic partnership with Military Police Regimental Association, a non-profit organization, and the scholarship process is managed by a staff member at Military Police Regimental Association. The process includes, but is not limited to, application creation, application submission, selection committee formation and recipient list finalization. The application, and any additional information, submitted by eligible applicants will be subject to the Military Police Regimental Association privacy and confidentiality policies, if any. The recipient of this scholarship will be selected by the scholarship selection committee consisting of representatives from University of Phoenix and/or Military Police Regimental Association. Non-staff members may assist in the selection committee process. A complete application, and supporting documentation, must be received on, or before, April 25, 2018. Applications not submitted or submitted after the designated deadline will not be considered. No exceptions. The scholarship committee will determine the recipients of the scholarship by the award date, June 8, 2018. All applicants with a submitted application will be notified via email, regardless if selected as a recipient or not, by award date regarding the status of the scholarship. Recipient is only permitted a predetermined number of failed courses based on his/her degree program. Recipient who is enrolled in an undergraduate degree program is permitted a total of two (2) failed courses (for clarification if recipient fails a third (3rd) course the scholarship will be terminated). If recipient begins an associate degree program and advances into a bachelor’s degree program, the associate’s and bachelor’s degree are considered part of one undergraduate degree program for the purposes of this scholarship award. The three (3) failed courses will be covered by the scholarship. Recipient who is enrolled in a master’s degree program is permitted a total of one (1) failed courses (for clarification if recipient fails a second (2nd) course the scholarship will be terminated). The two (2) failed courses will be covered by the scholarship. Recipient acknowledges that said scholarship shall not pay tuition and fees for any courses, in which a letter grade of A-D was earned, that recipient chooses to retake in order to earn a better grade. APPLICANT/RECIPIENT HEREBY AGREES TO RELEASE THE UNIVERSITY OF PHOENIX, APOLLO education GROUP, INC. AND ITS AFFILIATES, AS WELL AS EACH OF THEIR OFFICER, AGENTS, EMPLOYEES, SHAREHOLDERS, SERVANTS, DIRECTORS (“THE RELEASED PARTIES”) , FROM DAMAGES, LOSSES (INCLUDING, BUT NOT LIMITED TO, LOSS OF EARNINGS, LOSS OF PROFITS, LOSS OF BUSINESS, LOSS OF WAGES), COSTS, EXPENSES AND LIABILITIES OF EVERY KIND AND NATURE, WITHOUT LIMITATION, INCLUDING CLAIMS OF DAMAGES OR INJURY TO PERSONAL PROPERTY AND FURTHER AGREE TO RELEASE THE RELEASED PARTIES FROM ANY THIRD PARTY CLAIMS OF ANY KIND WHATSOEVER WHETHER KNOWN OR UNKNOWN, SUSPECTED OR UNSUSPECTED, AND WHETHER OR NOT CONCEALED OR HIDDEN, WHICH I MAY NOW HAVE OR MAY HEREINAFTER HAVE AGAINST THE RELEASED PARTIES RESULTING FROM, OR ARISING OUT OF OR IN CONNECTION WITH, DIRECTLY OR INDIRECTLY, FROM THE SCHOLARSHIP SELECTION PROCESS BY MILITARY POLICE REGIMENTAL ASSOCIATION. APPLICANT/RECIPIENT HEREBY AGREES TO RELEASE MILITARY POLICE REGIMENTAL ASSOCIATION AND ITS AFFILIATES, AS WELL AS EACH OF THEIR OFFICER, AGENTS, EMPLOYEES, SHAREHOLDERS, SERVANTS, DIRECTORS (“THE RELEASED PARTIES”) , FROM DAMAGES, LOSSES (INCLUDING, BUT NOT LIMITED TO, LOSS OF EARNINGS, LOSS OF PROFITS, LOSS OF BUSINESS, LOSS OF WAGES), COSTS, EXPENSES AND LIABILITIES OF EVERY KIND AND NATURE, WITHOUT LIMITATION, INCLUDING CLAIMS OF DAMAGES OR INJURY TO PERSONAL PROPERTY AND FURTHER AGREE TO RELEASE THE RELEASED PARTIES FROM ANY THIRD PARTY CLAIMS OF ANY KIND WHATSOEVER WHETHER KNOWN OR UNKNOWN, SUSPECTED OR UNSUSPECTED, AND WHETHER OR NOT CONCEALED OR HIDDEN, WHICH I MAY NOW HAVE OR MAY HEREINAFTER HAVE AGAINST THE RELEASED PARTIES RESULTING FROM, OR ARISING OUT OF OR IN CONNECTION WITH, DIRECTLY OR INDIRECTLY, FROM THE SCHOLARSHIP ADMINISTRATION BY THE UNIVERSITY OF PHOENIX. Access the University of Phoenix Military Police Regimental Scholarship online application. A complete application and supporting documentation must be received on, or before, April 25, 2018. Applications received after the designated deadline will not be considered. No exceptions. The scholarship committee will determine the recipients of the scholarship by the award date, June 8, 2018. You will be notified via email by award date regarding the status of the scholarship. You will receive a notification email regardless if you were selected as a recipient or not.